Arriving in New Delhi, India, I headed straight for the pre-paid taxi booth in order to avoid all the scams countless guidebooks and travel sites had warned me about. Even with a purchased ticket, however, my driver and several others tried to persuade me that other hotels they could take me to would be much better. With a firm assertion that my ‘husband’ was waiting for me at the hotel already, I managed to get there without any difficulties. 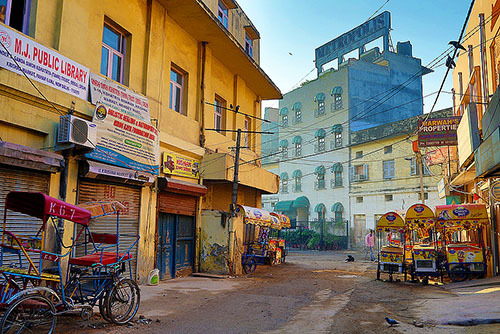 Amongst a narrow crowded street littered with hotels, much like many of the streets in New Delhi, was my hotel in Pahargani, an area in which you find a lot of budget hotels, and where backpackers frequent some of the less costly. Don’t expect western standards, but you can still easily find three star hotels here for very reasonable prices. On this particular street, restaurants that looked western-friendly were not widely available. This was a good thing though: although the hole-in-the-wall places to eat may look unappealing, they provide the most authentic food experience. While very small, many still have menus or simple signs advertising thalis, a meal made up of various dishes usually including rice, curries, dhal, vegetables, roti, and curd. These places have extremely cheap prices and many of them will continue to fill your tray until your stomach is full. Also low cost is the always-delicious chai. Sipping hot chai, although tasty, did sometimes come with the risk of overheating. 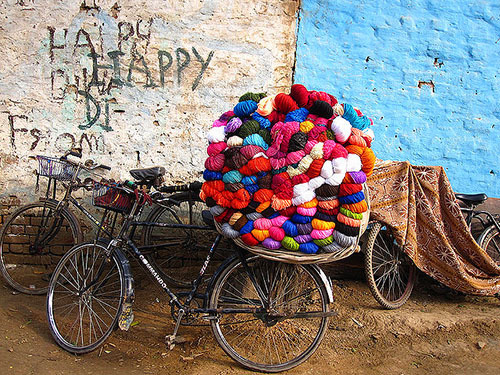 During the summer months, the heat in New Delhi can be almost unbearable especially because it is a must to cover up. Be warned, however, no matter how much you cover up as a westerner, you will be the beholder of many eyes, especially if you sport strikingly blonde hair like mine. Make sure to wear something nice because as you explore the city and sights, you will have your picture taken many times. 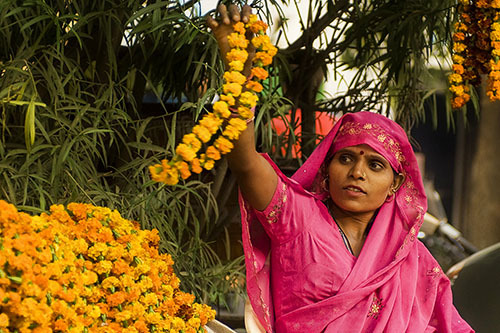 Getting around New Delhi is relatively easy. Transport options include the metro, taxis and rickshaws, both cycle and auto. It is important to confirm (and haggle for) a price and to make sure you know your destination, otherwise you might wind up being taken on a detour to a tourist office pushing tours or to a market full of overwhelming sellers. 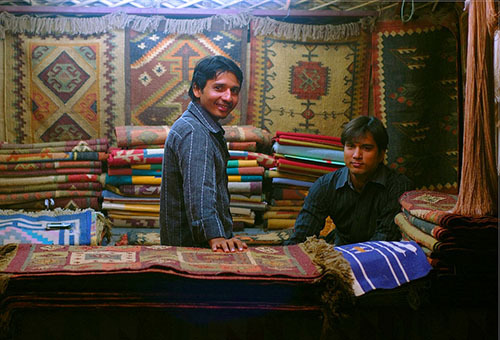 When you are ready to shop, there will still be overwhelming sellers, but these folk and the art of haggling are part of the experience. 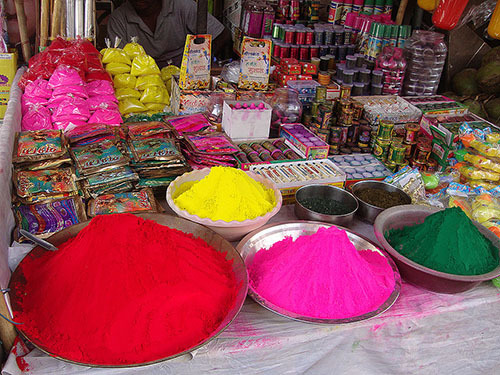 New Delhi has great shopping options including my favorite, the Pahargani market, geared towards budget travelers and backpackers. This strip of shops has a unique mix of items including teas, jewelry, shawls, and more. 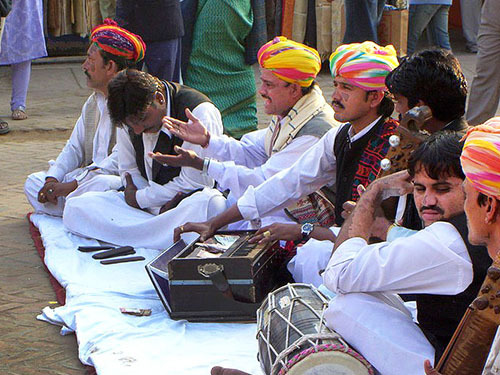 The Dilli Haat, a food and crafts bazaar, is a great shopping location for tourists as it provides arts and handicrafts and the chance to sample different ethnic dishes. 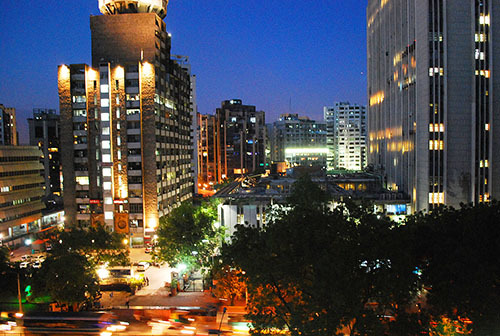 For more high-end shopping, visit Connaught Place, also called Rajiv Chowk, in the heart of New Delhi. If the Indian food has given you ‘Delhi Belly’ or you just crave a taste of something different, Connaught Place also has a range of eating options, including a Tex-Mex restaurant called Rodeo where you can dine while straddling a saddle. Despite it being crowded, Jama Masjid is worth a visit while you’re sightseeing. 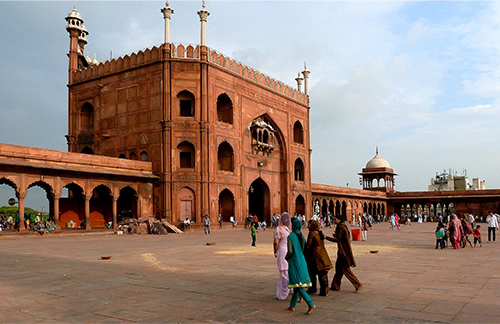 The largest mosque in India, Jama Masjid is located just west of the Red Fort Metro station in Old Delhi. Make sure to take pictures from the outside, but also enter into the mosque to get great pictures of the grand courtyard between the four gates with hundreds of birds soaring overhead the tall towers. Make sure to plan accordingly though, as during prayer time you will be booted out like I was. Women should bring along something to cover themselves up appropriately or hire a robe at the entrance, which will not only cover you up but also give you a chance to dress like a local. 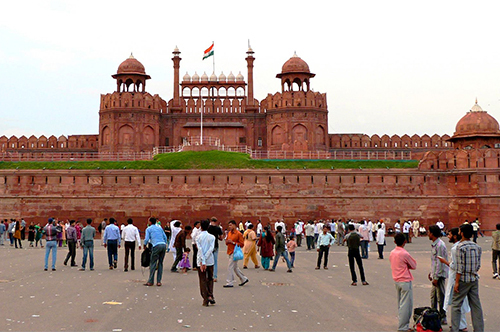 Close by is the Red Fort, who’s tall and beautiful red sandstone walls were once protection for the Mughal emperors. Inside the fort you can spend hours admiring the Drum House, Hall of Public Audiences, White Marble Hall of Private Audiences, the Pearl Mosque, Royal Baths, and Palace of Color. 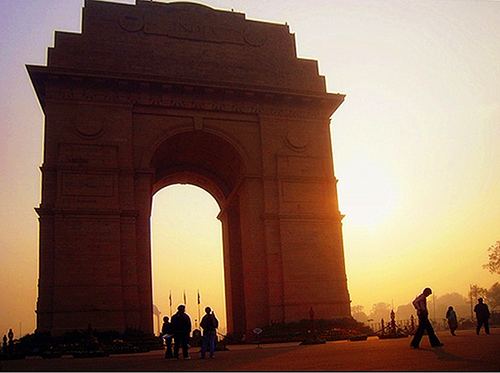 Other sights to visit in New Delhi include Humayun’s Tomb, India Gate, and Bahai Temple, among many others. Depending on how much heat, crowds, and walking you can take, New Delhi can be covered in a couple days, or for perhaps a more enjoyable experience spaced over several. After the hustle and bustle of sightseeing and shopping, my favorite part of visiting New Delhi was heading to the main bazaar for a delicious and cheap Indian meal in one of the many rooftop restaurants. On some rooftops you can sit on rugs amongst the many provided cushions and pillows and often chat with other tourists or sometimes locals. While dining, you can have a look down at the variety of things occurring below providing a nice chance to escape the madness, but still get to take in the daily happenings of New Delhi. In the street you’ll find many rickshaws waiting to take you home, a ride possibly the most interesting and entertaining part of New Delhi. I always enjoyed these rides, as there aren’t many places where you will find cars, motorbikes, bicycles, rickshaws, people walking and carting massive loads of cargo, donkeys, and cows all roaming the streets in no orderly or regulated fashion! New Delhi has lots to see and do, but between the heat, crowds, and endless scams and annoyances it can be overwhelming. However, with a lure for adventure, open-minded attitude, and a few deep breaths, it is a great place to get your first experience of incredible India. Sounds amazing. Would love to see these sights and sounds myself. Very good blog. Beautiful articles all across. I particularly loved the tone of the writing. Its so good.